Rescued refugees disembark from an Armed Forces of Malta (AFM) patrol boat after arriving at the AFM’s Maritime Squadron base at Haywharf in Valletta’s Marsamxett Harbour, August 28, 2014. 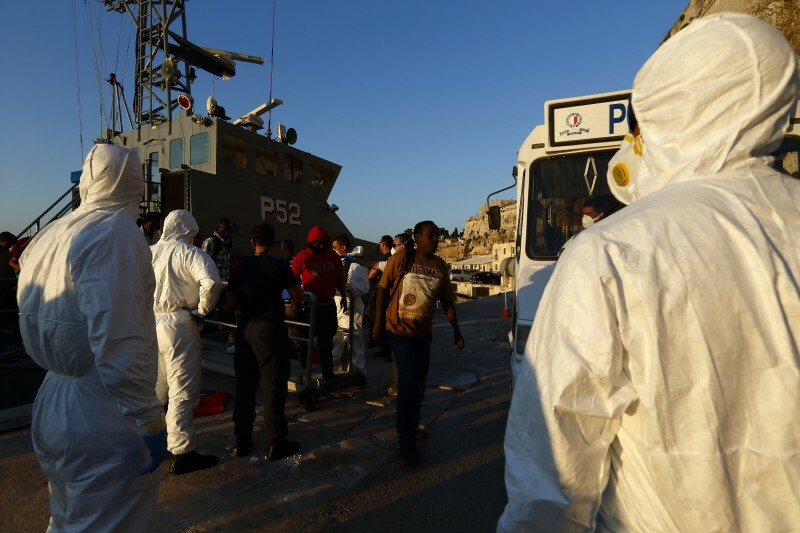 A total of 257 people from Syria, Iran, Iraq, the Palestinian Territories and Senegal, arrived in Malta on Thursday evening after they were rescued from a sinking boat by a cargo ship and transferred to AFM patrol boats. Visually, I found the AFM soldiers in their protective gear watching the migrants disembark from the patrol boat very interesting. The late afternoon light was perfect for pictures, and I underexposed the image slightly to deepen the shadows and give it a more dramatic feel.